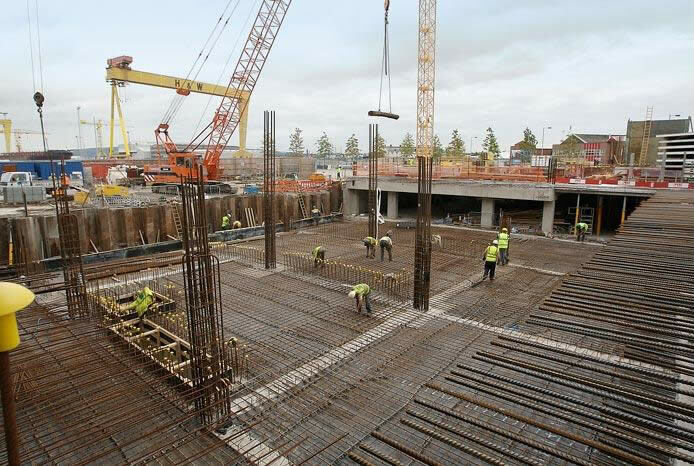 These projects combined, represent the full extent of the civil engineering works required for the launch of the prestigious Titanic Quarter Development at Queen's Island, Belfast. The combined footprints of the ARC and Gateway basements is some 14,500m2, giving 3 to 4 levels of parking/retail/residential with 2 levels of commercial space. In the ARC basement alone, 476 Nr parking spaces are provided. For construction of both basements, closed sheet piled cofferdams were required for excavation support and to exclude high ground water with extensive tidal influence. Ground water was also contaminated and required an extensive dewatering system inside the cofferdam. The whole area, having previously been used by Harland and Wolff for industrial purposes, required the breaking up and removing/recycling of large areas of concrete slabs, foundations, tanks and bases. 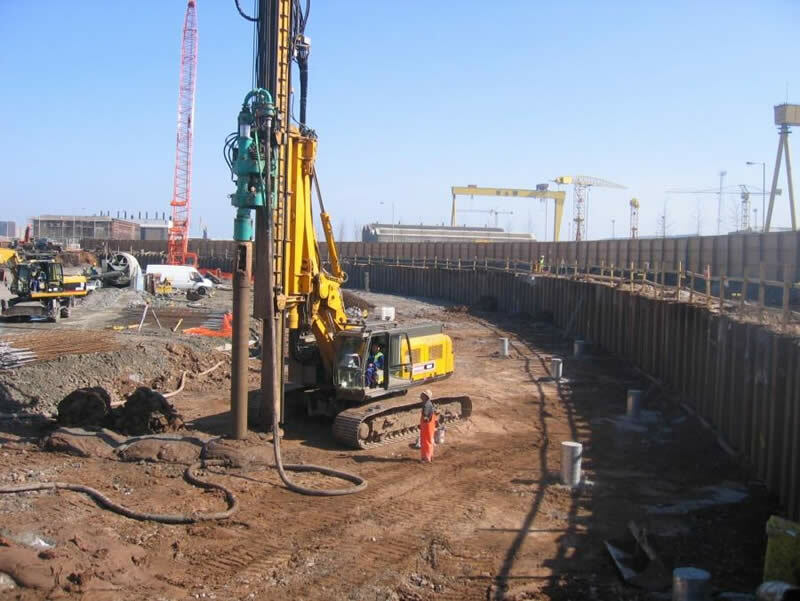 Excavations for both basements required the removal of some 51,000 m3 spoil, of which 19,000 m3 was contaminated and required removal to a designated remediation area within the Titanic Quarter. A total of some 2,500 Nr. 450mm dia. 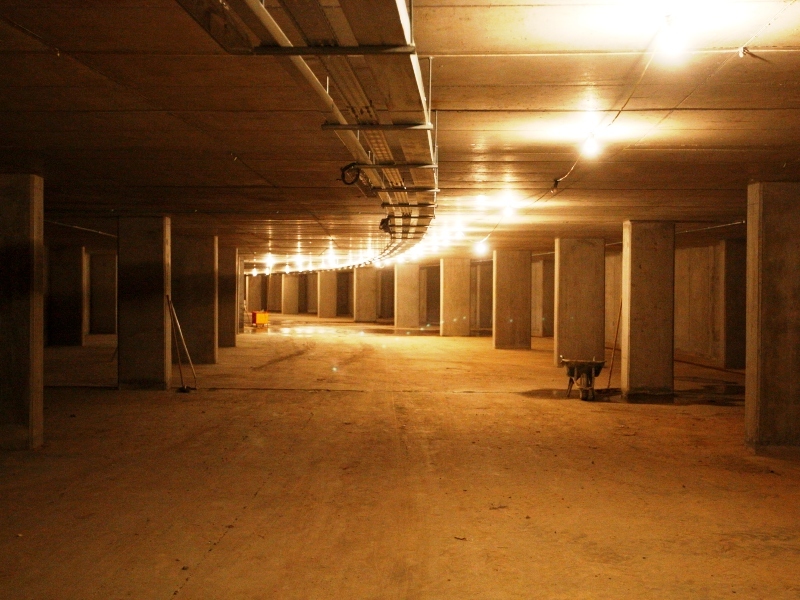 bored concrete foundation piles were installed below the basement floors by DAWSON-WAM leader rig systems. The basement construction involved the installation of waterproofing membranes, placement of 4,400t of rebar and some 24,000m3 of concrete. Both the Gateway and ARC basement projects were completed and handed over on programme.